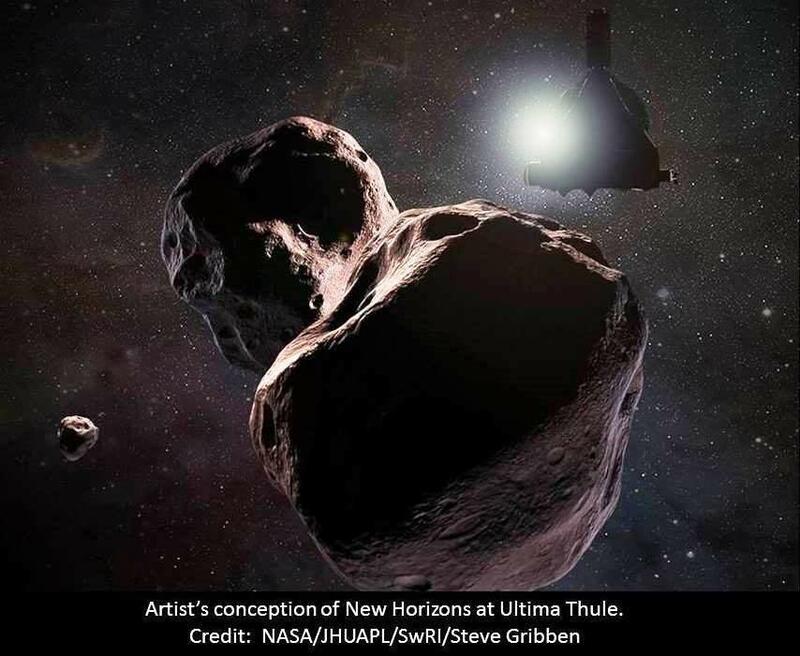 New Horizons recently awoke from hibernation to prepare for its encounter with Ultima Thule, currently more than four billion miles from Earth. Estimated at less than 20 miles wide, Ultima Thule is a member of the Kuiper Belt, the region of the outer solar system home to Pluto, Eris, and a multitude of other iceballs. But perhaps the best reason to get excited is simply the guarantee of surprise. Pluto was discovered in 1930, giving astronomers 85 years to study it, albeit with difficulty, before New Horizons arrived for a peek. In contrast, Ultima Thule was only discovered in 2014, eight years after New Horizons left Earth! Spacecraft always deliver new insights, even when visiting planets like Mars that have seen probe after probe, rover after rover. But never has a probe explored an object about which we know so little. And explore it will: New Horizons will pass three times closer to Ultima Thule than it did to Pluto, revealing surface details as small as a basketball court. Could Ultima Thule be a binary object? Might it have moons or rings? Is it surrounded by a cloud of debris that could pose a hazard to New Horizons? No one knows! That’s exactly what makes this encounter so exciting, and why astronomers and space enthusiasts everywhere are on the edge of their seat as New Year’s Day draws near. Western Slope Skies is produced by members of the Black Canyon Astronomical Society. This episode was written by Zach Schierl and recorded by Art Trevena.